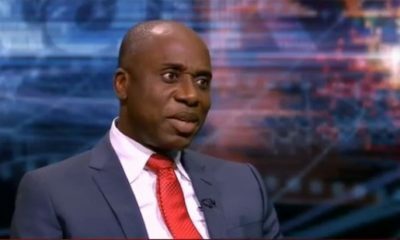 Minister of Transportation and immediate past governor of Rivers State, Rotimi Amaechi has rejected an award from the state government. 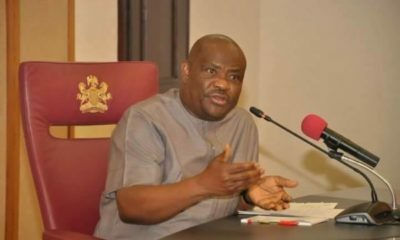 The state will be 50 years old on May 29 and the Jubilee Anniversary Committee set up by Governor Nyesom Wike has Amaechi’s name at number 18 amongst 29 people to be awarded Grand Service Star of Rivers State. Former Nigerian leaders Goodluck Jonathan and Yakubu Gowon are also on the list, alongside late activist, Ken Saro-Wiwa, Premium Times reports. In a statement by his Media Office, Amaechi said that Wike should tender an apology for accusing him of stealing the $43m found in an Ikoyi apartment by the Economic and Financial Crimes Commission (EFCC) weeks ago. In the past couple of days, Minister of Transportation and immediate past governor of Rivers State, Chibuike Rotimi Amaechi has been inundated with calls and enquiries from journalists about a purported award/honour to him from Nyesom Wike, the current governor of Rivers State. 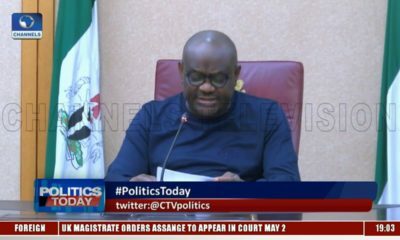 The minister was shown a publication of the Rivers State government indicating his name as one of many others to be given awards by Nyesom Wike. But as at today, Amaechi has not received any communication from Nyesom Wike and/or Rivers State government in this respect. Be that as it may, we want to state categorically that whatever Wike claims to be giving to Amaechi is a poisoned chalice that has been unequivocally rejected by the minister. Firstly, the purported award itself is a contradiction of monumental proportions, a contradiction that can only come from a warped and perverted mind. From day one as governor, Wike has made it his sole, one-point agenda to attack, abuse, insult and falsely denigrate Amaechi, his immediate predecessor and erstwhile benefactor. Since he became governor, Wike spends most of his time making reckless, deeply irresponsible, malicious, false allegations against Amaechi, as he attempts, albeit fruitlessly, to malign and destroy the outstandingly superb performance and legacy of Amaechi in Rivers State. So, what is the basis or criteria for Wike to give an award/honour to a man he (Wike) has rashly attacked and called all sorts of unprintable names in the past two years? For Wike to do a 360 and give an award to a predecessor, he (Wike) has consistently but misleadingly and deceitfully called Satan, Judas, non-performer, thief and only this week a sponsor of cultists, shows evidently that Wike suffers from a grave but rare form of psychosomatic malady. 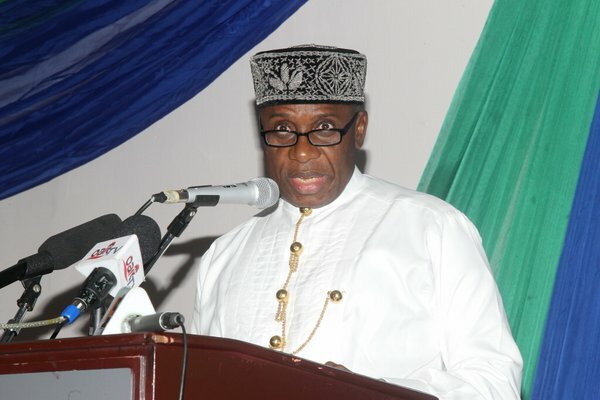 Secondly, what will Amaechi tell Rivers people when he goes to collect an award from that man-child who sits in Government House that is directly or indirectly responsible for the present deplorable state of sufferings, economic and infrastructural decay, violence, crime, insecurity, kidnappings and killings in Rivers State? Amaechi will not accept any award from a petty lowlife conman, who rode to power on the blood of Rivers people. Thirdly, the office of governor of any state is a prestigious, very dignified office and the occupant of that office who holds it in trust for his people is expected to act, talk and behave responsibly and decorously. When the governor talks, he should talk with facts and must be able to prove his claims. Most unfortunately for Rivers State, Wike possesses non of these qualities. Wike is everything a governor should not be, with virtually no redeeming qualities. Amaechi will not accept any award from this kind of lying, reckless, irresponsible and brutal character that has become the laughing stock of the nation. Finally, We will not relent to remind Wike and insist that he must go to court, like he vowed, to prove his frivolous claims that the over $43million Ikoyi money and luxury apartment (found by EFCC), belongs to Amaechi and were stolen from Rivers State by Amaechi; or be ready to face the wrath of the law at the appropriate time; the wrath of the people and ultimately the wrath of God, which no constitutional immunity can protect him from. The only other alternative is for him to publicly apologize and tell us that he wickedly and maliciously lied when he had that disgraceful, middle of the night press conference to push the false narrative that Amaechi owns the money and apartment. Messrs amaechi and wike can you please leave us alone and face your various works.??? Correct but, in all sincerity, the appeal should Wike should please leave Amaechi alone. He wanted to be governor by all means, now he is, what else does he want from the man or from God? Instead of facing his work, all he does is denigrate, insult, abuse Amaechi and always lie against him. Haba! What else does Wike want? This same Amaechi was the one who made Wike an LG chairman, made him his Chief of staff, and submitted Wike’s name to GEJ to be made a minister​. Can’t Wike at least remember this and be grateful to his benefactor at least for once instead of being an ingrate always? I will even be afraid to receive an award from Wike, if I’m Amaechi. That was a wise decision by Amaechi. Only an imbecile will go to the table of a known enemy to go and eat porridge.